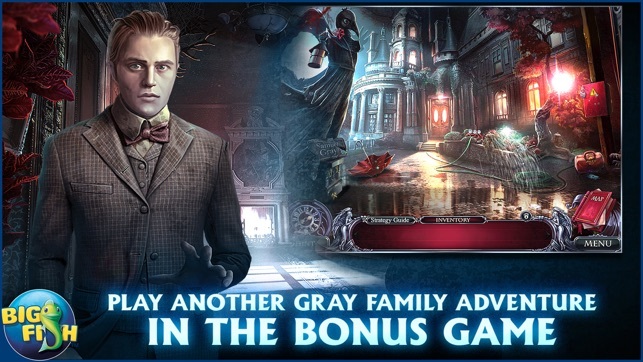 Once again, the Gray family finds themselves in deep trouble, and of course you’re the only one who can help. This time, your great-nephew has gone missing, and his mother has lapsed into a mysterious coma. Apparently young Billy was being tormented by a dark and hooded figure, who could appear each time with different features. Can you save your family before it’s too late? • DISCOVER THE DARK FORCES AT PLAY! Who would want to harm this innocent child, the one and only heir to Gray Mansion? What could be gained by severing this branch of your ancestral family tree? • CAN YOU FIND THE MAN OF MANY FACES? 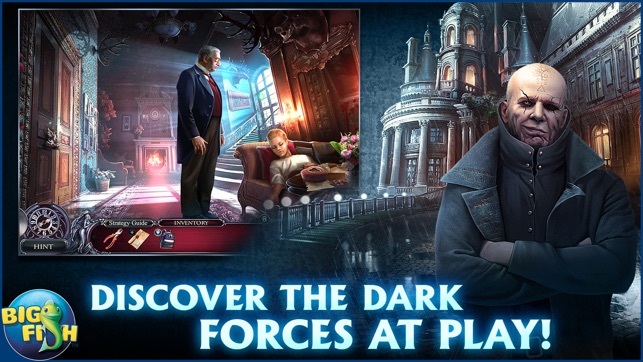 Chase down this heinous villain through a variety of haunted hidden object scenes. 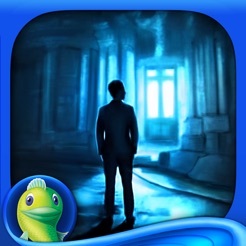 Use your unique and mystical abilities to solve eerie puzzles and spooky mini-games. 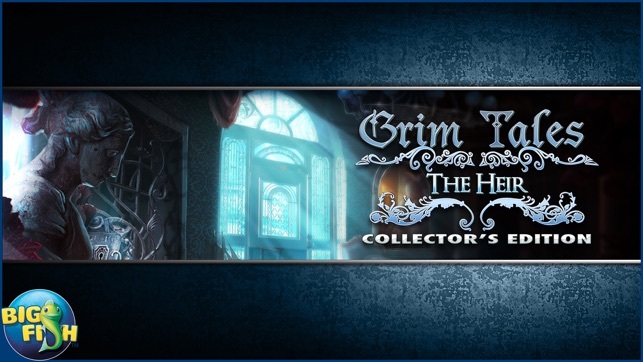 Continue the mystery and enjoy additional Collector’s Edition exclusives including collectible Character Figures, morphing objects, and more! I didn't like this game as much as most. Fair map - it does transport. Graphics were just average. Storyline - same. There were too many things to collect for me - morphing objects - bobbing head dolls were pretty cool - & puzzle pieces - & u don't even get to do the puzzle - they do it for you as you find the million pieces. The only way I'd forgiven having to find 3 or 4 puzzle pieces in most scenes would if they'd let me put the puzzle together. I saw no need to in that. It was ridiculously short - even by today's standards. I finished the whole game in a day while taking time out to do other things. Needless to say, I wish I hadn't spent the time & money on it. There were a few saving graces. The HOP'S were fun & different. But there were way too many mini-games. I don't usually like the dang things, anyway - I guess probably because I'm not very good at them. I have to rely on the Guidance strategy is & this one had several solutions that were incorrect - or I mis-copied them. Never know, but I usually do pretty well. (With good help). The game didn't help much, either. I still don't know. I hope my next one will be better. I was on a good streak, so now I'm afraid I'm on a bad one. I really enjoyed some of the challenging puzzles! 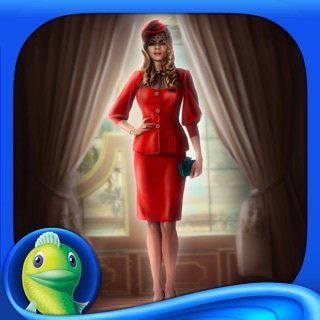 Most games are way too easy in these style apps, but this one had a few curve ball mini games I loved! 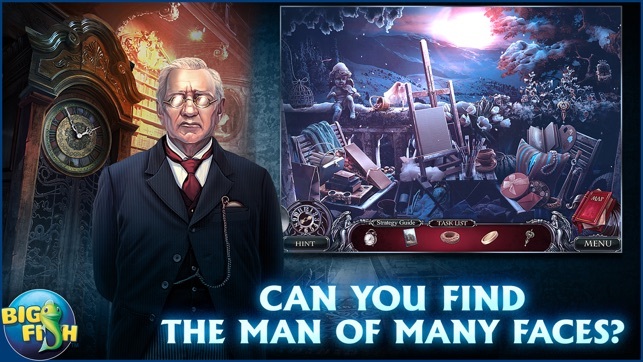 Some monotonous hidden objects but they did a good job trying to change things up by making things morph and not overdoing it. Really long game! Not 100% sure I followed the story line but I was impressed with all of the linked puzzles and the many layers. Not what I was expecting. 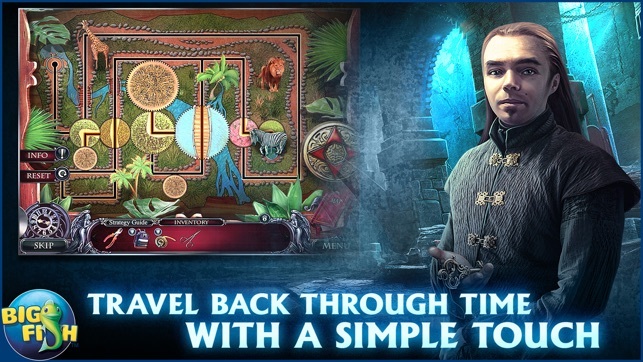 It was a hidden objects game mixed with a point and click adventure without the options of dialogue. I have to be honest, I'm the first one to complain at mini games being too easy. Now I'm going to whine about some of the mini games here were too difficult. To me, and I enjoy playing the mini games, they didn't make sense as to how I was suppose to play. Even after looking at the guide it was just too difficult to figure out. sadly, and I Really hate admitting this- I had to skip some of them *sigh*. However, I did enjoy the HOS. All-in-all I thought it was a good game.